Last month, George Clooney, Steven Spielberg and other movie stars and moguls announced donations of more than $2 million to keeping the tour buses, promotional rallies and the presence of cameras rolling to support “March for Our Lives,” the high-school student anti-gun movement. To be honest, that doesn’t bother me at all. It’s their money, and celebrities – like the rest of us – have every right to express themselves through statements or donations. As an aside, and like it or not, the large influx of cash contributes to skepticism about young David Hogg and his compadres being a genuinely “grassroots” movement or instead well-orchestrated or simply convenient sock puppets. The truth probably lies somewhere in between. High school kids are not allowed to rent cars, let alone a string of giant tour buses, and it took several days for the media to catch up to the fact that the walk-outs and rallies had significant political and financial sponsorship. Sadly, some of that skepticism manifests as out and out mean-spiritedness. Some of the personal attacks on the youngsters themselves – as opposed to what they are saying – stepped over the line into cruelty and tastelessness. One Wikipedia editor friend of mine has been spending dozens of hours cleaning up Wiki pages related to the youngsters, which have been repeatedly vandalized. What’s happening right now is a dysfunctional two-part dynamic. First, the media allows “indulgences” wherein the “right” people are forgiven for propagating the glamorization of gun violence if they say the right things and make the right donations. Secondly, the same media engages in selective charges of “normalization.” That’s when the “wrong” speech is a basis for outrage and censorship because merely allowing it to be heard allegedly encourages wrongthink: “My campaign is not going to let Donald Trump try to normalize himself,” vowed presidential heir-apparent Hilary Clinton in 2017. Come along with me, it’s a wild ride. Mr. Toad has nothing on me. Long before the Parkland tragedy, commentators have noted the irony — if not hypocrisy — of Hollywood stars and moguls who make hundreds of millions of dollars on ultraviolent, gun-laden movies who then turn around to virtue signal their anti-gun “positions” on social media and in interviews. Between the social media posturing and the hefty donations, something about their behavior reminds me of Borgia-era papal indulgences blended with the 24-hour digital news and social media cycle. Your Holiness, I know I sodomized a child, but what’s the going rate for forgiveness? $250,000 and a few tweets? Done deal! As I said earlier, freedom of speech applies to limousine liberals as much as anyone else. But everyone has a right to challenge the content of that speech. For many years, the poster boy for this first circle of hypocrisy has been Sylvester Stallone. His Rambo character is iconic: a face contorted in rage, wrapped in a sweat-soaked headband sitting atop a chiseled torso, clutching his always-present blazing M-60 machine gun. (FUN FACT: What does it tell you that there is a website dedicated to correctly identifying the type and make of firearms used in movies?). The Rambo icon powered a juggernaut that grossed as much as $728 million worldwide, and helped Stallone develop a personal net worth of more than $422 million, according to media estimates. Yet the left-leaning Daily Beast quoted Stallone as saying “Until America, door to door, takes every handgun, this [violence] is what you’re gonna have,” added Stallone. “It’s pathetic. It really is pathetic. It’s sad. We’re living in the Dark Ages […] the time has come to be a little more accountable and realize that this is an escalating problem that’s eventually going to lead to, I think, urban warfare.” In other words, I got mine, Jack. Here’s my social posturing, now hand over that indulgence. Of course, Stallone is easy to pick on. Not to worry, indulgences-via-virtue signaling abound. In a 2015 interview Idris Elba, when asked by The Daily Mail “What one law would you change if you could?” replied: “I would definitely change the law on random gun-holding in America. Nobody should be allowed to have those big guns willy-nilly.” (I have no clue what he means by “random” or “big guns” and I suspect neither does he.) Elba starred as a gun-slinging killer in last year’s “The Dark Tower” which grossed $50,701,325. All the while, Hollywood enjoys a cozy relationship with the National Rifle Association and the gun industry in general. 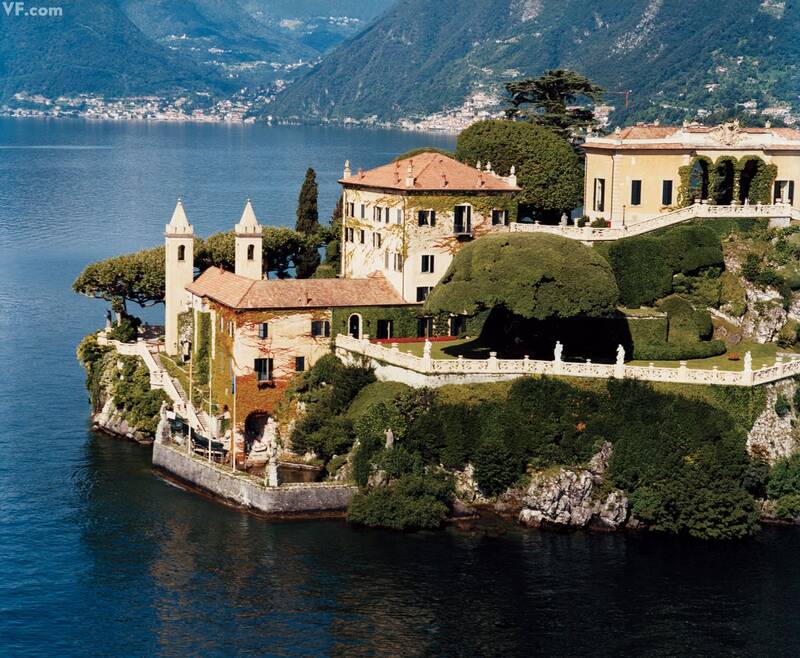 In a remarkable exposé, The Hollywood Reporter published a detailed story titled “The Gun Industry’s Lucrative Relationship with Hollywood” about the symbiotic relationship that helps keep George Clooney up to date on the maintenance costs of his Lake Como estate. He seems nice. Sondheim could learn a thing or two from him. Against the backdrop of the anti-gun rhetoric coming from people who make a huge living blowing people away on screen and in rhyme, the concept of “normalization” comes into play. It’s essentially another way censors say “shut up.” For many years, arts and music critics as well as civil rights leaders have debated about whether the glorification of gun violence “normalizes” it, encouraging young people to commit violent acts. Here’s the disconnect: free speech advocates — myself included — have long argued that content is not “mind-control.” As Beech points out, those who blame movies or music for criminal acts miss the point that most viewers and listeners are independent moral agents capable of distinguishing reality from fiction. I’d dare say any competent or honest First Amendment lawyer or civil libertarian would disagree. Yet in the political sphere, so-called liberals have thrown that out the window, and a growing “anti-normalization” or “anti-platforming” movement threatens not just free speech, but the credibility of those who pretend to be free speech advocates. As one Guardian editorialist put it, if you don’t use the word “fascist” to describe President Trump, you are normalizing him. It’s utterly dishonest to argue that Matt Damon’s bullet-fueled bloodbaths have no “normalizing” effect, but Donald Trump’s screeds, Milo Yiannopolis’s trolling or Christina Hoff Sommers’s quiet and scholarly academic speeches are “normalizing” and must be denied a platform or covered in a fair and objective manner. Except in rare cases, US law has rejected “normalization” as a basis for civil suits or as an excuse for criminal acts. People have long blamed content creators for their tragic problems. Black Sabbath’s Ozzy Osbourne was unsuccessfully sued in 1988 because the parents of a teen suicide victim was allegedly “inspired” to kill himself after listening to the song “Suicide Solution.” In 1979, convicted killer Ronnie Zamora, (15 years old at the time) failed to convince a Florida court that his “constant exposure to violent television programming” was the root cause that drove him to shoot and kill his 83 year old neighbor. There are dozens of cases where courts have found that the lack of a direct and rational causal link between content and violence absolves the speaker of legal liability. As I said earlier, those who make their Midas-like livings have every right to protest, to rail against guns or to make sizeable donations. But they deserve to be challenged on the source of their wealth and need to do a better job of explaining why glamorizing gun violence isn’t “normalization” but calling Donald Trump anything but a fascist is. As for the youngsters involved in the protest, perhaps their credibility and sincerity would be more concrete if they vowed to not accept donations from those who make millions of dollars “acting” with their trigger fingers. Young Mr. Hogg and his cadre ought to consider more carefully from whom they take money, and their movement ought to consider rejecting such donations as a matter of policy. Charles Glasser (@MediaEthicsGuy) was a journalist in the 1980s and later studied at New York University School of Law. After several years as a First Amendment litigator, he became Bloomberg News’ first global media counsel. He is the author of “The International Libel and Privacy Handbook”, teaches media ethics and law at New York University and also lectures globally and writes frequently about media and free speech issues for Instapundit and other outlets.